Researching a book on Guatemala, I looked up a few ex-dictators and former generals in the Guatemalan telephone directory and was surprised to find them listed in it. Even more surprising, considering that some of them had been accused in the world's press of near-genocide, they agreed to meet me without knowing anything about me. I went to their houses and discovered that they used fewer security precautions than the average suburban householder in Britain. This ease of access reduced somewhat my sense of achievement. 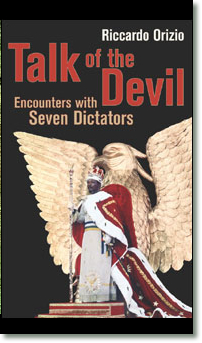 Riccardo Orizio, La Repubblica's London correspondent, experienced more difficulties in contacting the ex-dictators whom he wanted to interview for this book. After many tribulations, he managed but the briefest and most unilluminating of meetings with Idi Amin; and in two cases (those of Enver Hoxha and Slobodan Milosevic) he spoke only to the widow and the wife respectively. He had to show considerable resource and persistence in order to meet Baby Doc and Haile-Mariam Mengistu. Only the late Emperor Bokassa and General Jaruzelski made themselves easily available to him. Did the seven dictators and their wives have anything in common, apart from a period of supreme power in their respective countries? Can one say from the evidence presented in the book that there is a dictator-type, in the way that there is an extraverted and an introverted type? If there were an ex-dictators' social club, would the members automatically feel that they had something in common, as do retired doctors or barristers? Would Generals Amin and Jaruzelski have much to say to one another, considering that they were heads of armies before they undertook their coups that brought them to power? Insofar as any abstract point emerges from this book of the kind that might interest a political scientist, it is the banality of power and it holders. Men who once made their fellow-countrymen quake at the knees, who were offered up the most flagrantly flattering hosannas, and who accordingly came to believe themselves demigods, are revealed as deeply ordinary and lacking in the slightest originality. Amin and Bokassa, indeed, are almost pathetic in their childishness: one would almost pity them their fall from grace and exile were it not for what they had done. Untold thousands died merely to satisfy their absurd appetites and whims. Of the seven, only General Jaruzelski offers a partially convincing apologia for himself. Descended from a landowning family, he was deported with his family to Siberia after the Nazi-Soviet partition of Poland, and came to be an admirer of the Russian people. He joined the Soviet forces and took part in the conquest of Berlin. Unsurprisingly, he trusted wholeheartedly in the Soviet system and rose within it. He believes that he later saved his country from chaos and a Soviet invasion (whether he did or not is another question). There is nothing to indicate personal or insouciant bloodthirstiness on his part, and it seems unfair that he should be put in the same category as Idi Amin. As dictators go, he was a very mild one, and his admission to Mr Orizio that he reproached himself for his failure, as chief of staff in 1968, to oppose the anti-Semitic psychosis that then gripped Poland struck me as genuine and quite unforced. There is something impressive too, though of course deeply chilling, about Nexhmije Hoxha's complete absence of repentance for her husband's frightful regime. Her sincerity burns off the page when she speaks: it is impossible to doubt for a moment that she believes what she says. She truly imagines that the autarchic Albania of the Enver years was some kind of paradise, and hell was to be found on the other side of the border. For her, the sufferings of the ordinary people caused by her and her husband's ideological psychosis simply did not exist. Her intelligence, as sharp and narrow as a razor's edge, is as frightening in its own way as Idi Amin's or Bokassa's evident stupidity. If the seven people whom Mr Orizio interviewed had not enjoyed enormous power, they would not be of the slightest interest now. When I went to Ethiopia in Mengistu's time, for example, I discovered a personality cult without a personality, and nothing that Mengistu says here persuades me that I was mistaken. But power, like great wealth, makes even the dullest dog of deep interest to us all. What a man says who has been responsible for half a million deaths must always cause us to sit up and listen, however banal his words, for their very banality is fascinating. The age of dictators seems for the moment to be over, though it would be a foolish man who said that it could never return. 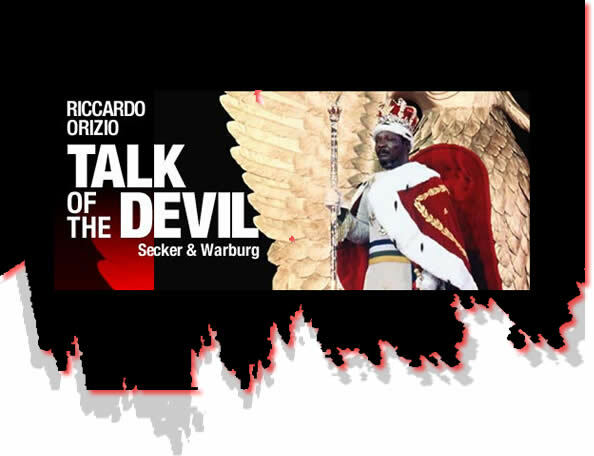 And though he would probably deny it, I suspect that Riccardo Orizio has a slight nostalgia for dictators in general, for they give even the least important of places a journalistic significance. Of every hundred people who have heard of Trujillo, how many can name the current president of the Dominican Republic? And is it not true that there is a little of the dictator lurking in very many of us, waiting for the right circumstances to emerge?